Pioneers of all things drone and doom, Seattle’s Sunn O))), have included a show at Manchester’s Albert Hall this October as a part of their UK tour. 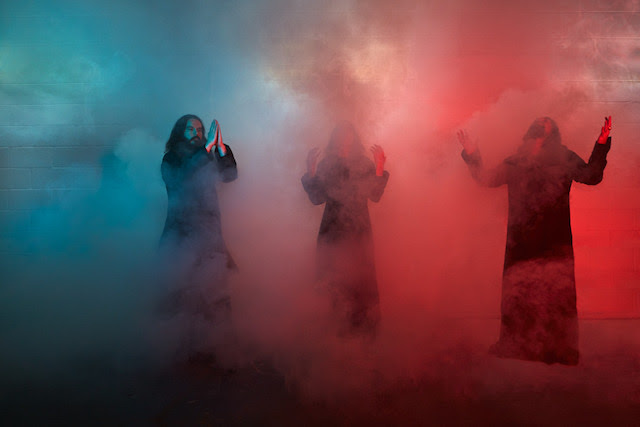 On the back of the band releasing two albums this year, Sunn O))) will unleash their bowel twitching drone and shudders of white noise on the Albert Hall faithful on Sunday, October 27. With the band’s new album, Life Metal, released this weekend as a part of Record Store Day 2019 (you can grab it on gold wax – the standard copy is officially released on Friday, April 26), the Steve Albini recorded opus is said to be inspired by romanticism and expressionism. Make of that what you will, however, it sounds like a fascinating opportunity to witness live. Along with Sunn O))) co-founders, Stephen O’Malley and Greg Anderson, Life Metal features contributions by Hildur Guðnadóttir (who previously worked with the late Jóhann Jóhannsson), guitarist Tim Midyett of the brilliant Silkworm, and currently the brains behind the great Bottomless Pit, and composer, Anthony Pateras. In further good news, by the time this show rolls around, we expect the band’s second release of 2019, entitled Pyroclasts, to be searing the ears of all you doom devotees out there. An album which was also recorded by Albini at his Electrical Audio studio during the Life Metal sessions. It is said to be a “more meditative” offering. It’s a big year for Sunn O))), further demonstrated by this rare show at one of the country’s finest institutes for live music. Tickets on sale now from the Albert Hall website.